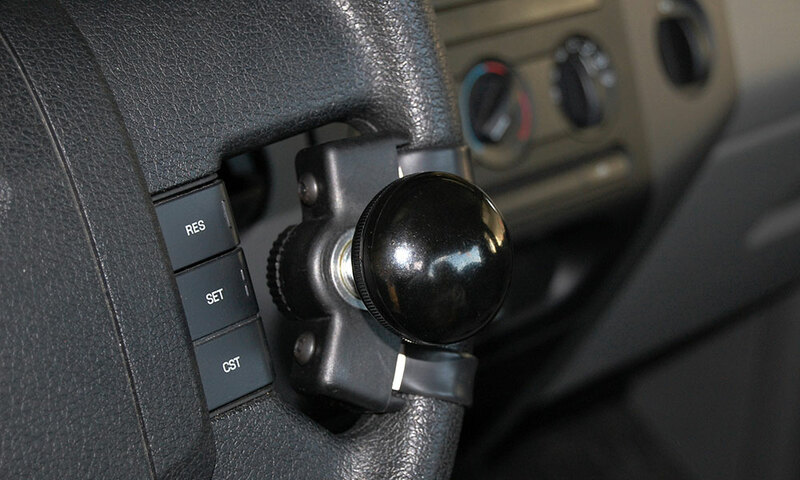 Hand controls for cars, pickups, SUV’s, vans and your recreational vehicles. 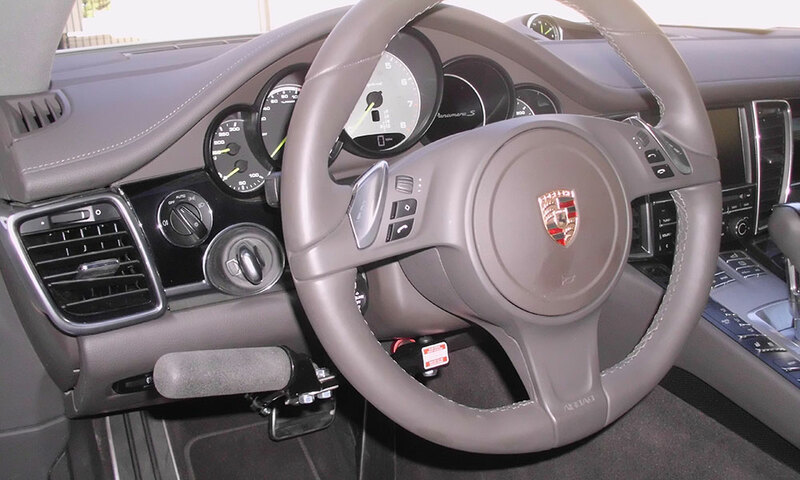 We represent the top manufacturers of hand controls and our service technicians are factory trained in their installation. We choose from MPS’s Monarch Mark 1-A, and Mobility Products & Design to get you the right fit. Kansas Truck Mobility is committed to providing you with the best adaptive equipment solution for your particular driving needs. 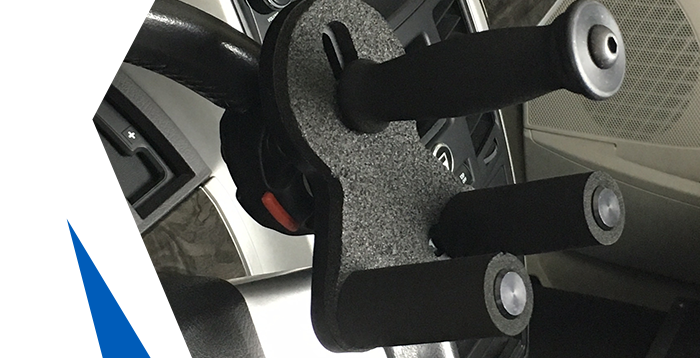 Our vast array of hand controls and steering wheel spinner knob solutions are necessary to match the right equipment to the driver and type of vehicle. 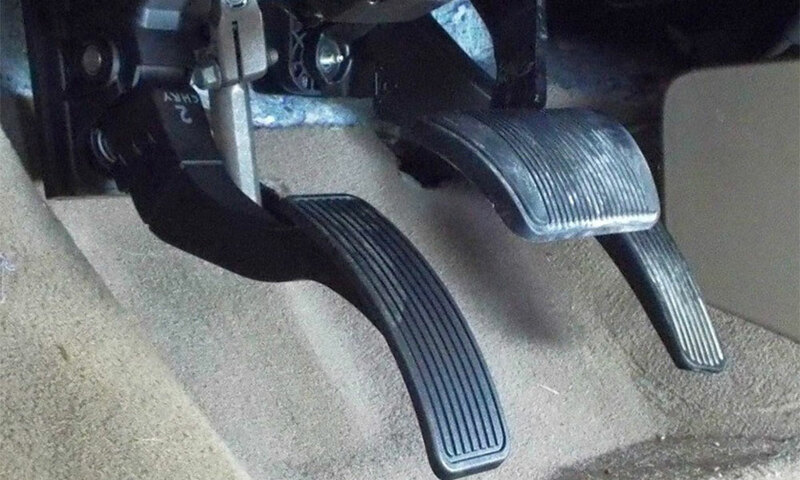 We carry brake pedal and key extensions to help you have the confidence you want while driving. Kansas Truck Mobility is a QAP mobility equipment dealer and has met the standards set by the National Mobility Equipment Dealers Association for excellence in sales, service and installation. 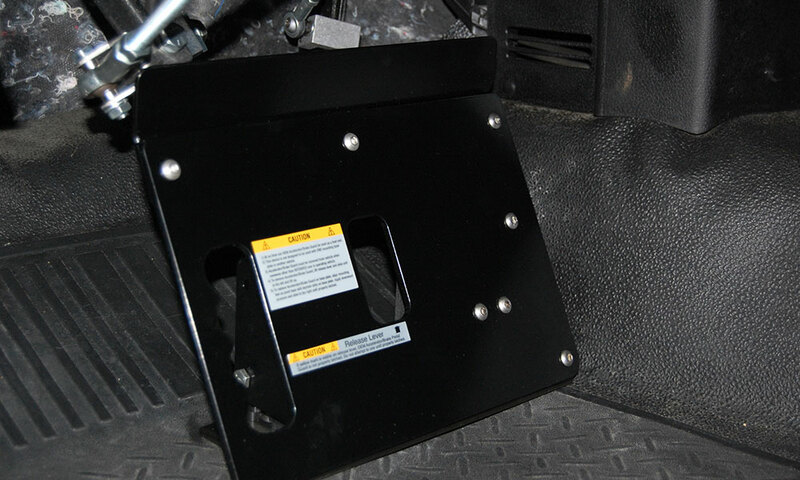 The accelerator/brake guard is recommended for use with hand controls to guard against inadvertently resting the foot on the accelerator or brake pedal. Kansas Truck Mobility has met the standards for a QAP mobility equipment dealership as set forth by the National Mobility Equipment Dealers Association.